The use of ferromagnetism, or the basic mechanism by which certain materials (such as iron) form permanent magnets or are attracted to magnets, reaches back as far as ancient times when lodestone was used for navigation. Since then only three elements on the periodic table have been found to be ferromagnetic at room temperature—iron (Fe), cobalt (Co), and nickel (Ni). The rare earth element gadolinium (Gd) nearly misses by only 8 degrees Celsius. Magnetic materials are very important in industry and modern technology and have been used for fundamental studies and in many everyday applications such as sensors, electric motors, generators, hard disk media, and most recently spintronic memories. As thin film growth has improved over the past few decades, so has the ability to control the structure of crystal lattices—or even force structures that are impossible in nature. 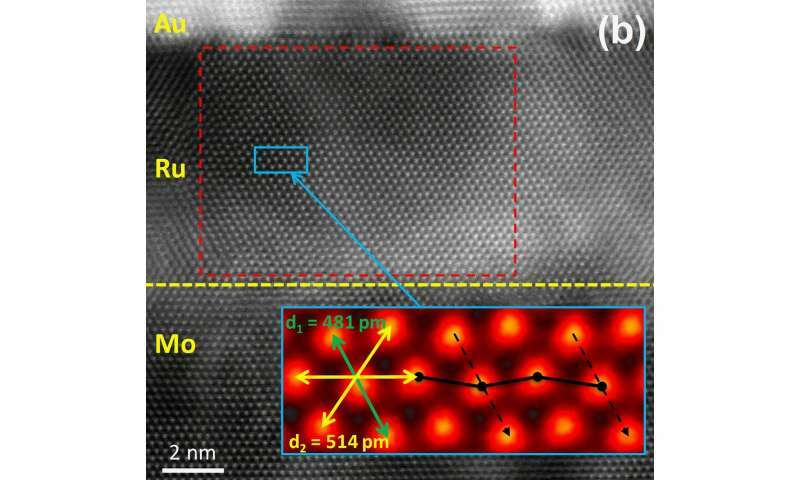 This new study demonstrates that Ru can be the fourth single element ferromagnetic material by using ultra-thin films to force the ferromagnetic phase. "Intel is pleased with the long-term research collaboration it has with the University of Minnesota and C-SPIN [Center for Spintronic Materials, Interfaces, and Novel Architectures], said Ian A. Young, Senior Fellow and Director at Intel Corporation. "We are excited to share these developments enabled by exploring the behavior of quantum effects in materials, which may provide insights for innovative energy efficient logic and memory devices." Other industry leaders agree that this discovery will have an impact on the semiconductor industry. Magnetic recording is still the dominant player in data storage technology, but magnetic based random-access memory and computing is beginning to take its place. These magnetic memories and logic devices put additional constraints on the magnetic materials, where data is stored and computed, compared to traditional hard disk media magnetic materials. This push for novel materials has led to renewed interest in attempts to realize predictions which show that under the right conditions, non-ferromagnetic materials, such as Ru, palladium (Pd) and osmium (Os) can become ferromagnetic. The researchers said this study opens the door to fundamental studies of this new ferromagnetic Ru. 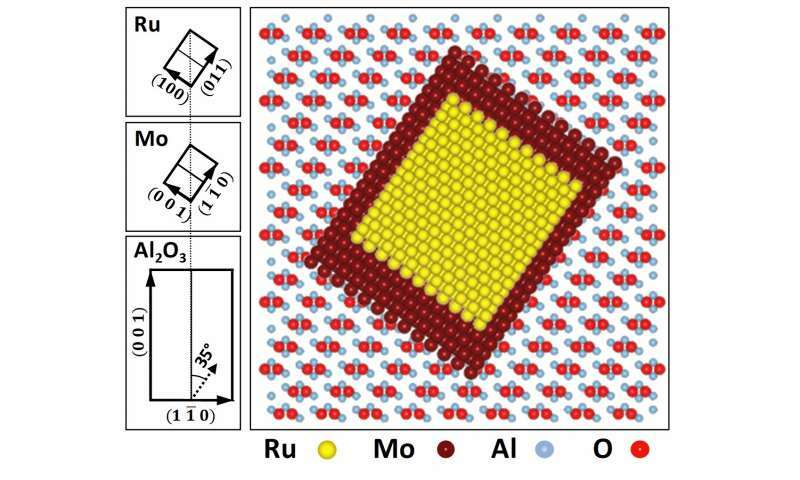 From an application perspective, Ru is interesting because it is resistant to oxidation, and additional theoretical predictions claim it has a high thermal stability—a vital requirement for scaling magnetic memories. Examination of this high thermal stability is the focus of ongoing research at the University of Minnesota. Science has to find out once: every chemical element is magnetic, if there are more proton neutrons. The problem is that these properties change depending on the tempeature and the neutron breakdown time.